InSanity lurks Inside: Haunt Tour 2015 Begins! Haunt Tour 2015 is KICKING OFF! Yes, this weekend ISI and Kitsuneverse are back on the road and we're kicking this season off in a big way! 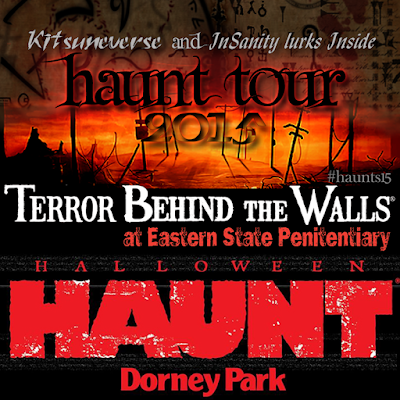 On Friday we'll be at Opening Night for Terror Behind the Walls at Eastern State Penitentiary. 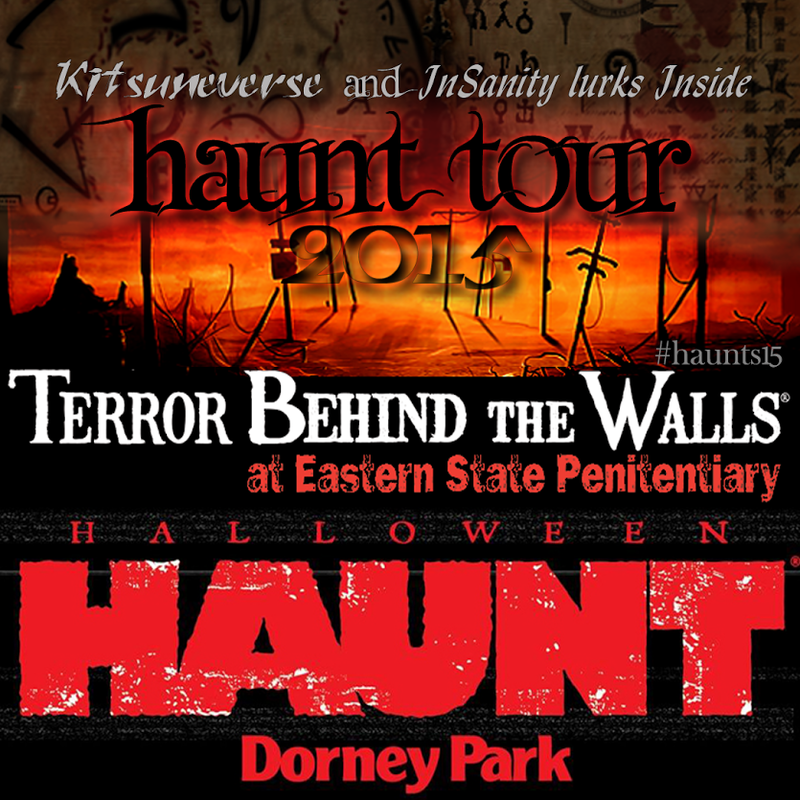 On Saturday we'll be at Halloween Haunt at Dorney Park. Remember, Follow us on Social Media for live updates, pictures and more while we're on location. So stay turned, Halloween is Coming!